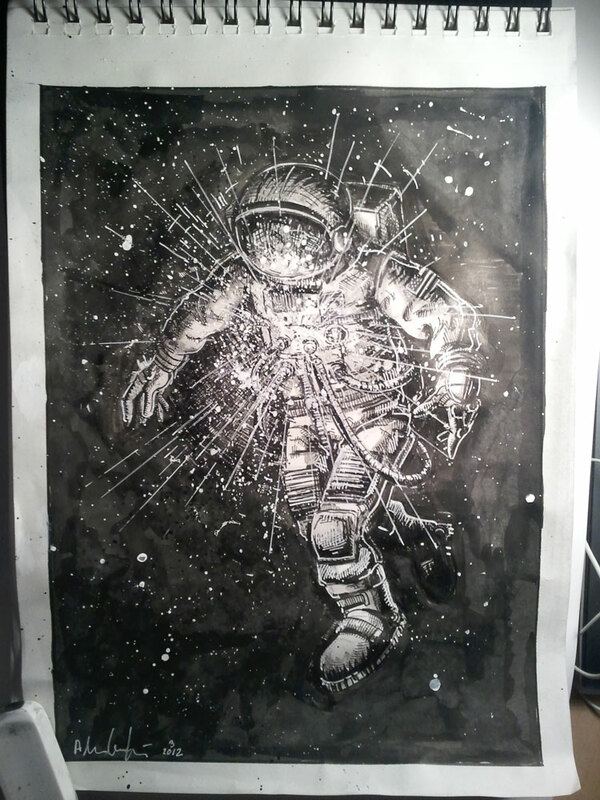 I was contacted by a young man named Ryan looking from a tattoo design, featuring an astronaut with light emanating from his chest. This one came out fairly quickly for me just a few days from blank page to posting! All art is © 2015 Adam Guzowski, as are all characters © of their respective owners, including myself. Downloading and unauthorized printing of any material here is prohibited.